NEW DELHI: India’s tea imports from India has slipped by nearly 18% during April-May this year to 2.31-million kg, said the data from Tea Board. Reports suggest that India had imported 2.81-million kg of tea during April-May, 2010. India has been importing the beverage only to re-exporting it to other nations. The fall in imports shows less re-exports. Although, the imports from Argentina, Kenya and Sri Lanka have risen during April-May period, the in-bound shipments from Vietnam, Malawi, Indonesia, Nepal and China have pluged during the same period. During the January-May period of the present calender year, the tea imports have plunged by nearly 17% to 6.54-million kg as compared to 7.84-million kg during the same period of the last year. 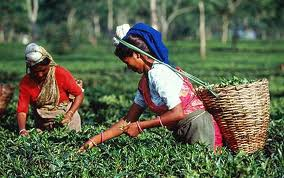 India is responsible for nearly 28% of the international tea production and 14% of trade. India houses almost 1,600-tea estates. The tea industry employs over two-million people.